In our office, from your first phone contact with us until post-treatment care, you will receive the highest quality customer service. We believe that the best patient is an educated patient. 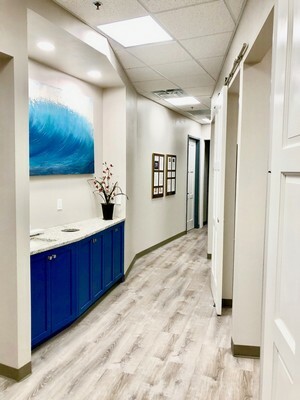 Our knowledgeable staff will guide you through the whole endodontic experience by educating you about your dental condition, treatment, if any, that is most suitable for you, financial options, insurance issues, and many other aspects of endodontic care. All questions are taken seriously. Please, don't hesitate to ask. First and foremost, we believe that it is crucial for people to retain their own natural, healthy teeth for an entire lifetime. Prevention of endodontic disease and treatment of it as early as possible is far more successful, less costly, and more comfortable for all concerned. Our goal is to help you achieve and maintain a healthy mouth as quickly and as economically as possible. In order for patients to receive the high quality of treatment, it not only requires expertise on behalf the doctor but it also partially relies on the tools they use. Our office is proud to offer our patients the most modern tools to offer endodontic relief. We are thrilled to be able to utilize the Carestream 9000 Cone Beam CT scan. 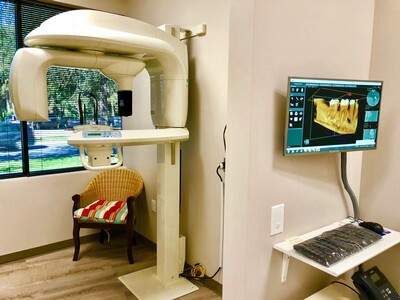 We are one of the first to utilize the CBCT in endodontics in the US. It allows us to scan in 3-D visuals to solve even the most challenging endodontic mysteries. Within minutes we can inspect your tooth in 3-dimensions - a miraculous breakthrough in dental care! With these modern tools we can accurately diagnose patients without risking failure in treatment. We are one of very few practices in Central Florida, that can offer this service to our patients, in our office. TDO (The Digital Office) Software enables us to be a fully paperless and digital office making scheduling treatment and communication with you and your referring dentist significantly more efficient. The Global Surgical Operating Microscope aids in visualization of intricate and delicate anatomy inside your tooth - our assistants even utilize the microscope during treatment to most effectively support your care. Our digital SLR camera allows exceptional documentation aiding diagnosis and patient education. Kodak RVG 6200 Digital Radiography reduces your exposure to necessary radiation by nearly 90% when compared to traditional dental X ray film. Electric Apex Locator used to confirm the length measurements of the root canals electronically without getting radiation. Endodontic Associates of Orlando, P.A.